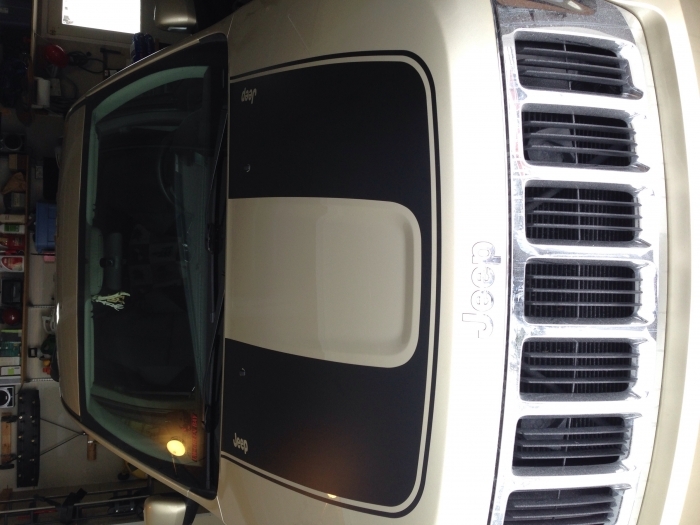 Give your Jeep Grand Cherokee a sporty look with this hood decal from JustforJeeps.com. 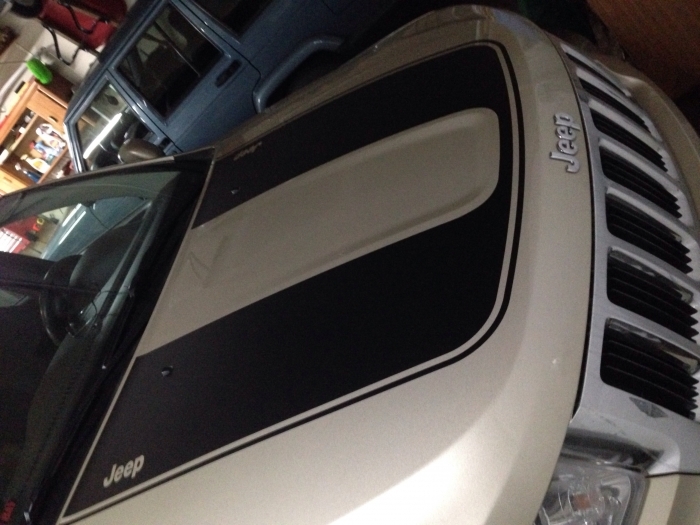 The decal (Item # 82212889) features the Jeep logo and has a matte black finish. 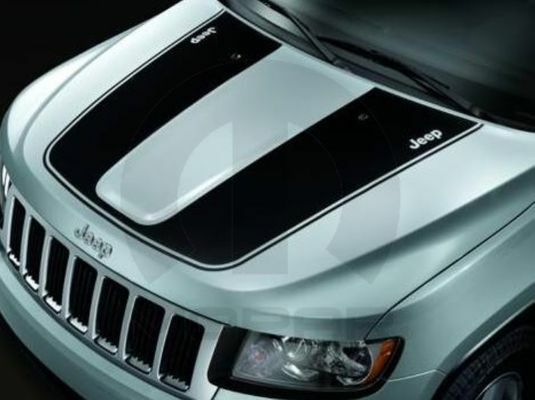 It is shaped to fit the lines of the hood of the 2011 to 2018 Jeep Grand Cherokee. The hood sticker is shipped rolled up in a box. JustforJeeps.com recommends professional installation of the decal. To complement the look, order the matching headlight blackout trim decal (Item # 82212925). Was a little apprehensive about doing this myself but it looks great!